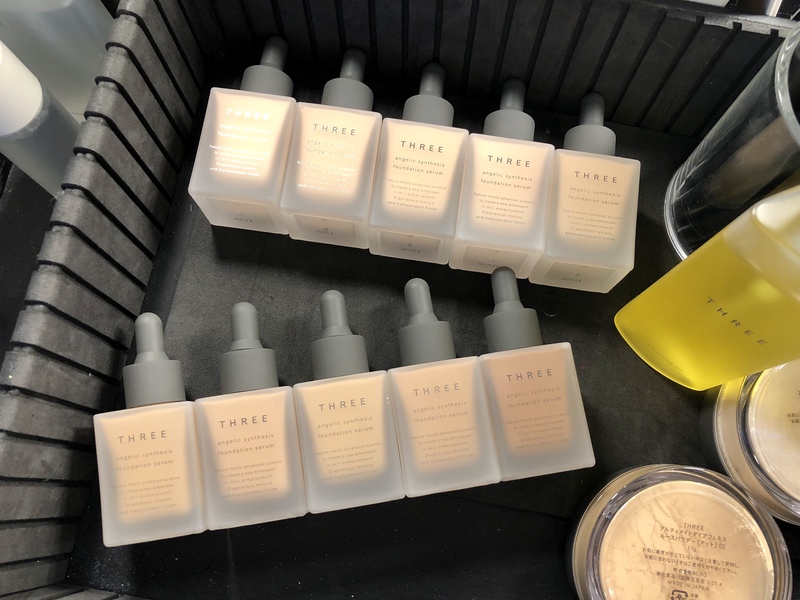 Japanese label Three Cosmetics’ skincare infused foundation line has been extended with the new – interestingly named – Angelic Synthesis Foundation Serum (S$85). Containing botanical oils and extracts, the foundation is also made with fine powders that mattifies the skin while lending it radiance. A serum-infused foundation that supplements the skincare routine is always a good idea. Lightweight and relatively long-lasting, this foundation gives the skin a more matte finish than Three’s Flawless Ethereal Fluid Foundation. Ideal for those with an oilier skin texture or living in humid conditions. Available in ten shades, the Angelic Foundation is also free of skin-irritating UV-absorbing agents, parabens, and mineral oils. To complement this “bare-skin” makeup routine, Three also launches the Airlift Smoothing Wand concealer stick (S$55) and Ultimate Diaphanous Loose Powder (S$75).